Does the thought of writing a business plan make you cringe? But you know you need a roadmap for your success? Your creativity can lead the way! You know how important it is to have clear goals and an action plan to achieve them. But traditional, left-brain tactics leave you overwhelmed, uninspired, and just plain stuck. What if business planning could be fun colorful, AND effective? As a licensed Right-Brain Business Plan® facilitator, I’ll share with you an empowering, intuitive, and accessible entrepreneur approach based on my mentor Jennifer Lee’s best-selling book that has helped tens of thousands of creatives like you launch and grow their business. Join me for my Right-Brain Business Plan® online group starting OCTOBER 1. You’ll roll-up your sleeves and craft a visual plan that lets your head know where your business is going AND inspires your heart to sing with joy. Finally get that business plan done AND set the stage for your best year yet as a creative entrepreneur! Won’t you join us? "Going through the whole process and leaving with concrete steps and a plan to achieve them were the most valuable part of the workshop. I’d recommend it to my friends as a good way to further develop ideas and make you identify and own your plan/vision/ideas/dreams/goals. [Karen is] an inspiration, in the right place and time for me. Thanks so much for your inspiration and wisdom!" You get full permission to show up as your full, authentic self in your business! Isn't it time to take control of your business to make this your best year yet? LIMITED TIME BONUS: The first five registrants to pay in full by September 6 will receive a complimentary 30 minute 1:1 individual strategy session with me! This proven right brain entrepreneur process has helped creatives just like you clarify their goals and make their dreams real. “This course helped me re-energize and align my vision, purpose and actions. In fact, engaging in this class got me so inspired again about my business that I found myself in action implementing my plan while simultaneously creating it! Eight weeks of creative and practical assignments including inspiring, informational, and instructional videos plus juicy reading material. Exercises and templates that cover the financials, marketing plan, competitive analysis, goal setting, action plans, and building a team (all in a right-brain, creative way, of course!) and fun illustrated play sheets. Access to a private Facebook group to connect with and learn from me your licensed Right-Brain Business Plan course facilitator and fellow participants. You’ll have Monday, Wednesday, Friday accountability prompts in the group to keep you moving forward. Orientation Call to help bring you up to speed and get you started on a great path. LIMITED TIME BONUS GIFT:The first five registrants to pay in full will receive a complimentary 30 minute individual strategy session with me. Valued at $150, this gets you an immediate return on your investment. You will need a copy of the book The Right-Brain Business Plan: A Creative Visual Map for Success to follow along with the program. You can order it on Amazon, or from Jennifer (PLEASE NOTE: After you register for the e-Course, you will receive a special code for getting 20% off the book and/or the kit when you order from Jennifer). "Concise, well-planned and timely. Nice agenda! Clear view of the business plan for creating your goals and dreams. Teacher knows her stuff! Great! Karen kept the group rolling & was open to 1-1 coaching when she saw frustration brewing. When I was struggling, she didn’t push me. Karen took a giant step back, observed and I felt like she was opening her arms to me. It was very tender, wonderful and impactful. A tender moment when I needed it. Bravo!" “I thought the whole course was terrific, I loved doing the vision board work and felt it helped me create the business I wanted. I love the feel and creativity you created for the course. The course material was inspiring and so enjoyable to work with. Please e-mail your questions about the workshop at karen@karenfriedland.com and we’ll get back to you soon! Right-Brain Business Plan® is a registered trademark of Jenn & Brian Creative, Inc. (DBA: Artizen Coaching®). Used with permission. I am honored to have been able to learn from a new perspective in a fun, challenging way! (Karen is) Mentor, Teacher, Leader, Encourager, Outside-the-box Thinker!" Led by Karen Friedland, licensed facilitator of the Right Brain Business Plan. Friedland melds more than two decades as a visual artist, 12 years as a creativity coach and teacher and a Masters degree in Business Administration to guide you through the process. 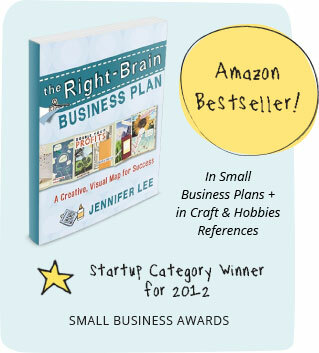 Her business abilities were honed as she was mentored directly by Right Brain Business Plan author, Jennifer Lee. Her combination of both right and left brain thinking enhances her skills as she shepards you into the business of building your business in the same creative, innovative and heart-centered way you live your life! Karen is a fine artist, lifelong teacher and coach. Friedland works principally in acrylic on canvas and mixed media. Her work has been shown throughout the United States and in solo shows in New York, New Jersey and Pennsylvania. Her work has been featured in “The Artist Magazine” and "Literal Latte." But before she became an artist, she was an executive at Macy's, ran a retail store, worked in advertising and was a fund raiser for non-profits. She understands business. Now Friedland has a line of jewelry, hand-painted tiles and art-related products that she sells in person and online. A community activist, Friedland founded and led the Flatbush Artist Studio Tour. As a Teaching Artist, Friedland teaches art for the Brooklyn Arts Council, the Open Center and from her studio. WHAT IS THE COURSE'S FORMAT? This course program is based on the Right Brain Business Plan by Jennifer Lee so you will work through Jenn's Home Study version of the course together on a week-by-week basis while getting support from me in "real time" through coaching calls, an active Facebook Group, and additional accountability through our Catalyst Chat sessions. All of the Home Study material will be hosted on Jennifer Lee's platform, while the replays of the coaching calls will be hosted on my school -- Creativity Revolution. At the beginning of each week, you’ll receive an e-mail with links to that week’s assignments from Jennifer's system (weeks 2 and 3 will have an additional assignment posted on Wednesday). Each week will include a video, juicy reading materials, and creative exercises, plus some weeks will also have an MP3 audio file and fun playsheets (keeping the fun in right-brain business planning!). ​You will also receive a mid-week and end-of-week check-in with additional exercises and suggested challenges. It will be helpful for you to post your homework to our private Facebook group by the end of each week – not only will it help hold you accountable, but you will also get support and inspiration by your fellow creative cohorts. There is no “schedule” for class time except for the Coaching Calls (which will be recorded in case you can’t make it live) and the Catalyst Chat sessions. You can do all of the assignments on your own time. Anticipate spending at least 3-5 hours (or more, if you’re super gung-ho!) each week on the course. The private Facebook group will be archived 30 days after the course concludes to give you some extra time to catch up on conversations and posts. Even after the course ends, you’ll still have unlimited access to stream the videos and download the reading materials on both my site and Jenn's. WHAT IF I DON'T FINISH THE ASSIGNMENTS ON TIME? The course is meant to jumpstart your planning process and to help provide a structure to guide you along. Don’t stress out if you're not able to finish all the assignments each week – you can do them on your own time. WHAT DO I NEED IN ORDER TO PARTICIPATE? You will need a copy of the book "The Right-Brain Business Plan: A Creative Visual Map for Success" to follow along with the program. If you don’t have a copy yet, it's available on Amazon & bookstores or you can order it from Jennifer (PLEASE NOTE: After you register for this RBBP ONLINE program, you will receive a special discount code for getting 20% off of the book and/or the kit when you order from Jennifer) Technical requirements: A computer, reliable Internet access, Facebook membership, and the ability to watch online videos, listen to MP3 files, and view PDFs. In addition to those items, you may need to download the ZOOM app for our live coaching sessions and Catalyst Chat calls. I also recommend you print out the illustrated playsheets in color for maximum creative inspiration, so a color printer is ideal (but not required). Visit your local office supply store or copy center if you don't have a color printer. You may also want to have a digital camera or scanner to document and post your visual plan, but that’s optional. Supplies: We’ll be doing various creative activities, so here are the basic types of supplies we’ll use – paper, pens/markers, magazines, scissors, glue, Post-it Notes, but you’re encouraged to use whatever materials that inspire you! An open mind and willingness to have fun! We know many creative entrepreneurs have a plethora of passions. If you have multiple businesses or business ideas, we suggest focusing on one business as you go through the exercises. It will keep things more simple and manageable for you. Once you go through the process for one business, it’ll be easier to repeat it again for the next. When you’re done you can look at both plans to see the big picture of your creative enterprise. WHAT IF I'VE BEEN IN BUSINESS FOR AWHILE ALREADY OR IF I ALREADY HAVE A BUSINESS PLAN? The Right-Brain Business Plan® process can be used to flesh out a specific new product or service you’re wanting to offer or to explore how you will take your business to the next level. You will learn tools and techniques for approaching your business from a fresh perspective. If you’ve been feeling bored by your business or you’ve lost connection with your authentic expression, this course will give you the creative spark you need. WHAT CAN I EXPECT FROM THE COURSE FACILITATOR? As your licensed Right-Brain Business Plan facilitator I will be supporting you in the course through the Coaching Calls, Facebook facilitation, and Catalyst Chats sessions. RBBP creator and author Jennifer Lee will be delivering the recorded video teaching segments in the course modules. For my part, I’ll be there as your friendly guide through the creative business planning process. Along with practical information. I will inspire you and answer your questions as best as I can. I will facilitate group sharing and learning, point you to additional resources, and challenge you to stretch yourself as you go through this process. WHAT IS THE DIFFERENCE BETWEEN THE RIGHT-BRAIN BUSINESS PLAN BOOK , KIT, HOME STUDY AND THIS FACILITATED RBBP ONLINE PROGRAM? 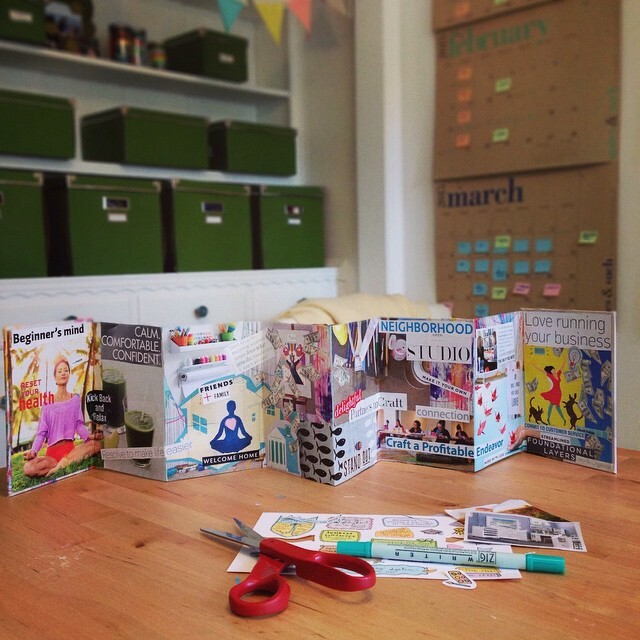 This RBBP ONLINE program is facilitator-led in real time as you work through each week of content, whereas the book and kit are DIY. The regular RBBP Home Study version is self-paced with no leader responding to questions (as part of this program you will get access to the RBBP Home Study but you will have me as a guide, nudged, and encourager throughout). During the facilitated e-Course you can ask your burning questions and get online coaching from me. Plus, you will connect with a community of other creative entrepreneurs who are going through the same process as you are. Learning, sharing, and brainstorming happens amongst the participants and valuable contacts and business friendships can develop. It’s so much easier to get things done with the structure, accountability, and camaraderie of a facilitated group. WHAT IF I CAN NO LONGER PARTICIPATE IN THE PROGRAM AND NEED TO CANCEL? Due to the nature of an online course and the fact that seats are limited, the course registration fee is non-refundable. All payments are due in full. Before you sign-up, please make sure you’re fully committed to participating in and completing the course. If you need more information to help you make a solid decision, contact me with your questions BEFORE you purchase. You can send an email to karen[at]karenfriedland.com and I will be in touch as soon as possible. Cheers!